Hello and welcome back to day three of our JustRite Papercrafts August release! Hope you are enjoying the new stamps and the pretty inspirations. Today I am showcasing quite a few new products on one card. Let me start with the two new stamps Celebrations Sentiments Clear stamps and Cornflower Damask Cling Background stamp. 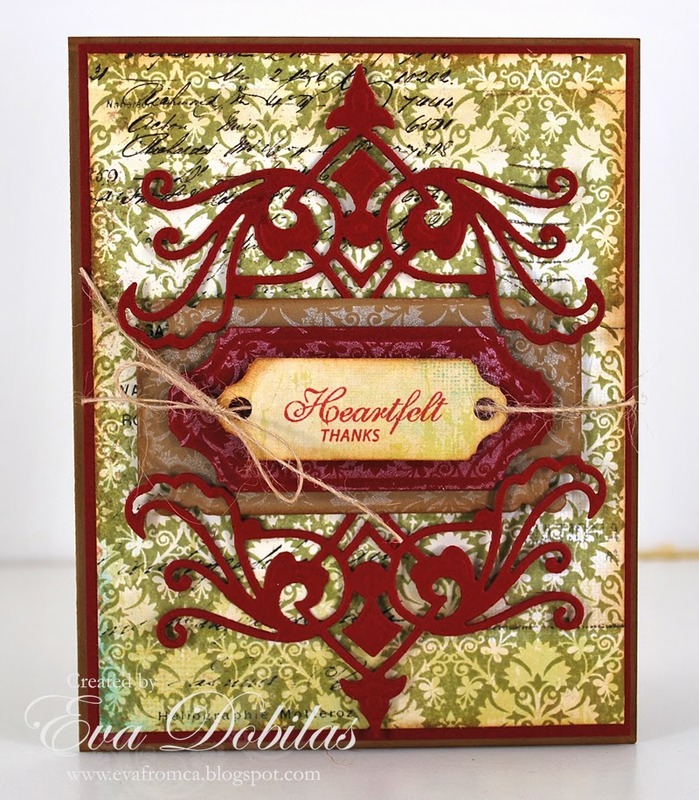 I also used two brand new dies called Vintage Flourish One Dies and Vintage Labels Nine dies. To create my card I stamped my Cornflower Damask Background stamp onto a patterned paper using green ink. Then I die cut labels from the Vintage Labels Nine dies and stamped the same background stamp onto them using white ink and on the smallest label I stamped my sentiment with red ink. I die cut two dies using the Vintage Flourish One Dies and added it to my card to frame my sentiment labels and finally tied a jute around it. Well, that is it for today. Hope you are loving these new sets as much as I do and now it's time to check out what my design teams have created for today.